About a year ago we brought you the news about Tata Motors being selected to supply 3,192 units of the Safari Storme to the Indian army. 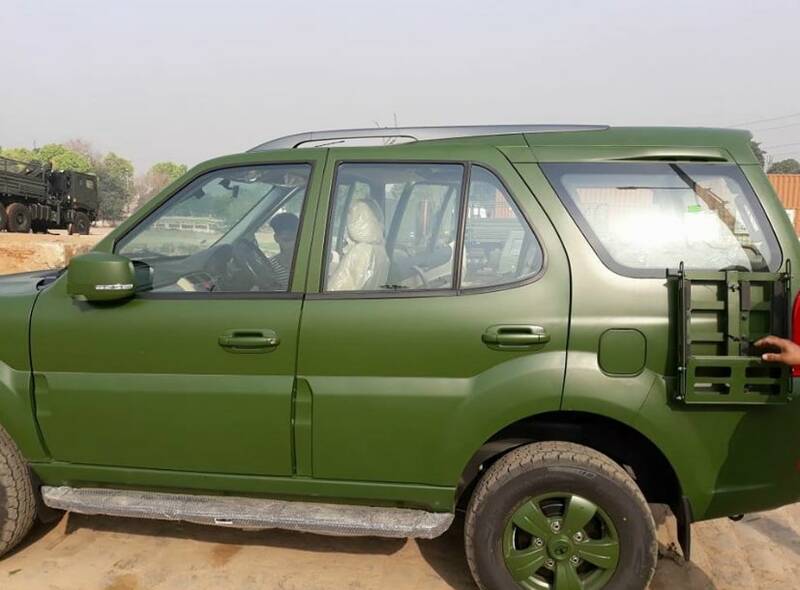 As a replacement to the ageing Maruti Suzuki Gypsy, the Tata Safari Storme would be ideal since it met a list of criteria that were set by the Indian Army - hard top, 800 kg payload capacity and air conditioning. 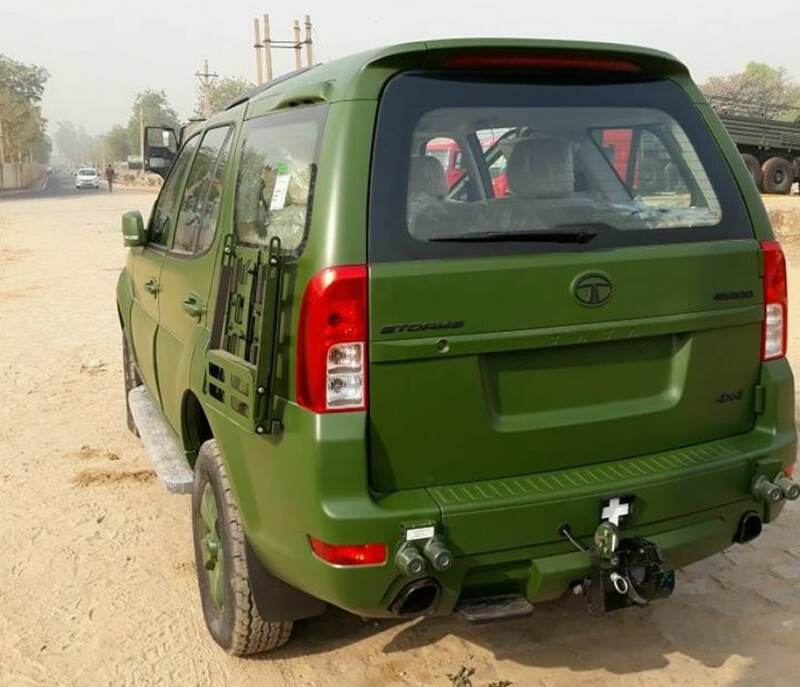 And now here are some of the first pictures of the Safari that has finally been readied for the Indian Army in a cool matte green paintjob. The Tata Motors SUV supply to the army will also be complimented by SUVs from Nissan and Mahindra. 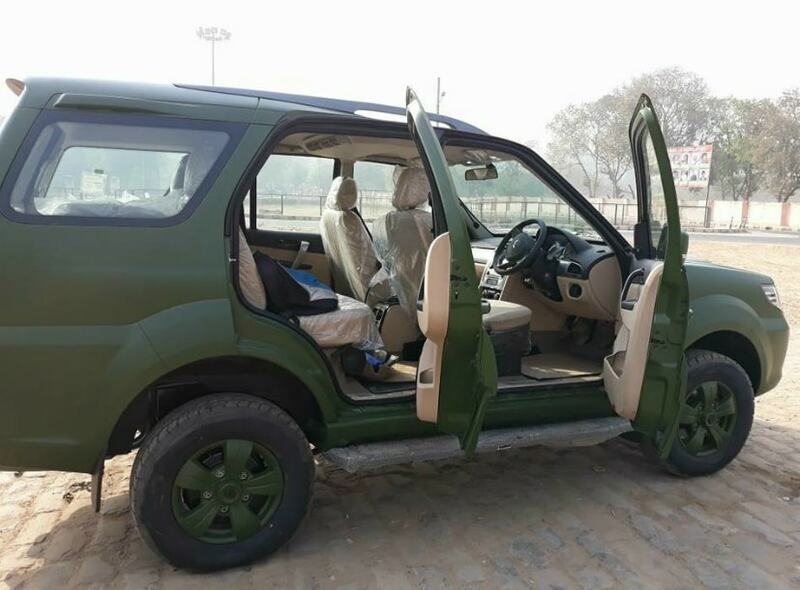 The army version of the Tata Safari Storme has a fair few differences as compared to the standard civilian model. For starters, the obvious change is the matte paintjob to avoid reflections. The other additions are the black out lamps mounted on the front and rear bumper that projects a horizontal light beam. These are mandatory for military vehicles in field use and are used during wartime in order to keep the vehicle as concealed from enemy eyes while driving at night. Other changes include a de-chromed look, which essentially means all the chrome bits on the car - like the grille, exhaust tips, etc. have been either blacked out or sprayed with the same matte green paint. This again is so that reflections coming off the vehicle are kept to a minimum. Other changes include a large hook at the rear to mount a trailer onto and a canister mount on the rear fenders. 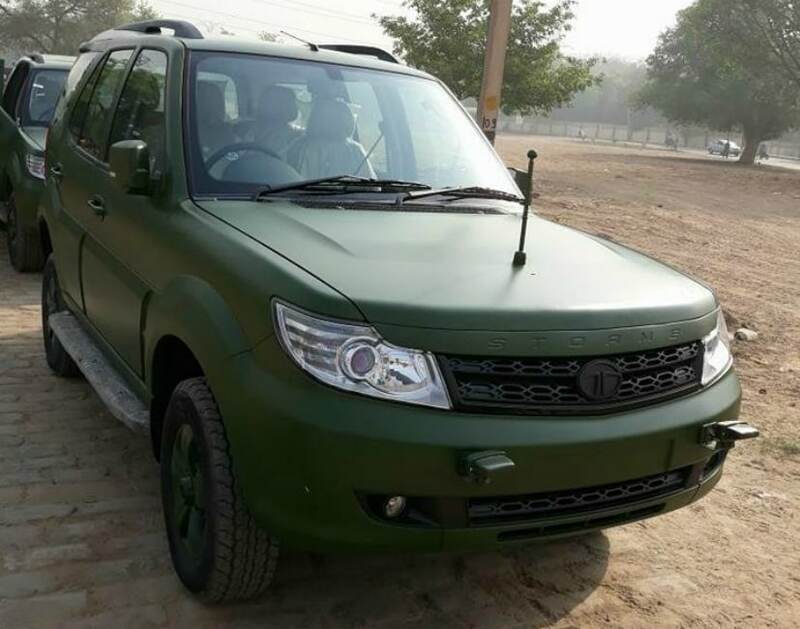 The military version of the Tata Safari Storme also gets a radio antenna on the bonnet. Tata Motors have also made some minor mechanical changes to the car. These include better underbody protection and beefier suspension. The same 2.2-litre engine that the standard car gets will power the military version of the Safari Storme. It is a 4-cylinder turbocharged diesel unit that makes 154 bhp of peak power and 400 Nm of peak torque. All the army versions will come standard with four wheel drive and with both a low range and a high range option along with a 6-speed manual gearbox.